It seems like just awhile ago the NES Mini had been revealed and Nintendo announced the console to be releasing November 11th. 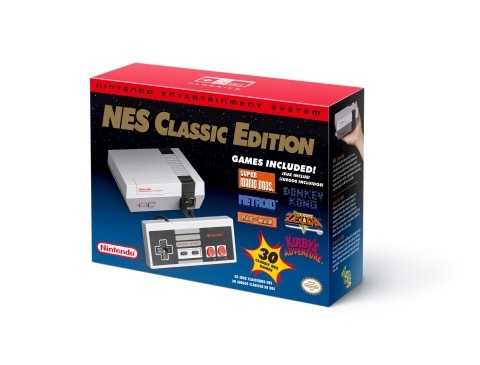 “Whether you have fond NES memories or want to introduce yourself and your kids to the video games that made Nintendo a household name, you’ll love the compact and attractive console. The hub of the NES Classic Edition is the HOME Menu, which can be used to access all 30 of the classic NES games. From here, you can adjust various settings or just dive into a game and start playing. To help locate games quickly and easily, you can press the Select button to sort by title, two-player games, recently played games, number of times played, release date and publisher.